Hey there, friends! I’m happy to say that I am in my FINAL WEEK of preparing this book for print! It is complete, and I’m currently working on formatting and a few little details required before getting a book into print. If all goes well, I should receive my sample book in the next week or two to preview and make sure everything looks as it should. Once that happens, it will be ready for print! As soon as the pricing is decided toward the end of this week, I will start taking preorders from my blog subscribers, Facebook fans, and Twitter followers ONLY , and it will be on sale at a great discount for you until it is available to order online. Also be on the lookout for an ebook version for those of you who prefer to read on your Kindle, iPad, iPhone, or any other eReader. The actual story is around 260 pages, so there’s much more to the story than what I posted here. I know some of you kept up with it as I wrote it, but I have improved much of what you previously read, so you will probably want to start from chapter 1 again. Do you have a blog? 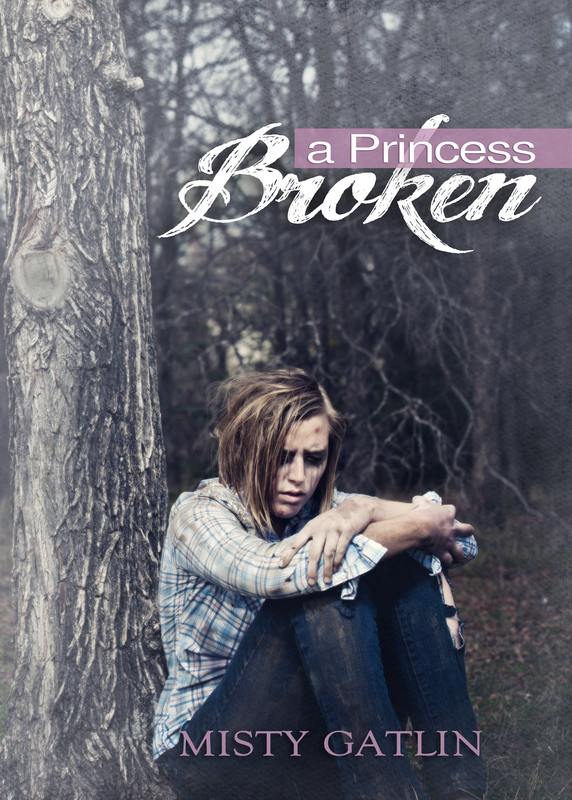 Would you be interested in hosting me for my blog tour for A Princess Broken? If you would like to be a part of the tour, please send an email to me at mistygatlin (at) ymail (dot) com. Please make sure you include a link to your blog, and I will contact you soon with details. Make sure you get in touch with me as soon as you can as I will be creating a calendar over the next few weeks. If you’re unsure what a blog tour is, let me briefly tell you. It’s just like a regular book tour where an author travels around the country talking about her book and answering questions from readers except the author travels around the world through different blogs doing the same thing. I am a full-time teacher, youth leader, wife, and mom of two, so a blog tour just works better for me. Would you be interested in reviewing A Princess Broken? If so, please send me an email at mistygatlin (at) ymail (dot) com to let me know you’re interested, and I’ll get back to you on what all it entails. I did a review recently on GP Ching’s The Soulkeepers(click the link to see my review), and although it was something I did on my own, it’s similar to what you would do for this book. So. . . I know you all have been waiting, and I’ve been so eager to get it out there to you, but I’m finally at the end of the process! It will be here very soon! AND I ALMOST FORGOT . . . I have chosen a quote for the cover of the book, so one of my readers will be receiving the very first copy autographed by me! In fact, I couldn’t choose between 2 quotes, so two of you will be receiving a free autographed book! There’s a possibility both will be featured on the cover (one on front and one on back). I also had several others who I’m considering for quotes on inside pages, and those people will go into a drawing for a book as well. You will know who you are when everything is complete by the end of this week. I am so excited that this story is almost ready. I would love to host you for the blog tour and also to review your book. Misty! I am so happy for you! I know it’s been a long road and a lot of hard work. I’m glad you got your finished work done. I miss stopping by your site. I have to catch up on all your blogs now… lol. But I’m so happy to hear about your final product!!! Misty, Congratulations!!! I’m so excited to hear about your finished work. I know it’s been a long hard road for you and now it’s time to enjoy the fruit of your labor. And it’s going to change the lives of so many people. That is awesome!! !